I fell asleep in my recliner at approximately 9:00 PM. My dogs slept on both sides of my chair on the floor. My boyfriend was on the couch next to my recliner and he was asleep also. At approximately 3:00 AM, I awoke to a horrific, jabbing pain in my mid-lower back right on my spinal column. Upon awakening, I can vividly remember sitting up and grabbing my back at the same time. As I turned to sit all the way up I saw a “large human like figure” turn away from me and proceed to walk toward my front door with some sort of very large, clear syringe he placed on his right hip like a gun would be placed for carrying purposes. I remember trying to scream out, and pointed at the same time but “nothing” would come out of my mouth no matter how hard I attempted to shout. I could not produce even a whisper. It was as if he possessed some sort of power over my actions until he was out of my sight. He never once turned around where I could see his face, but he was all “black” and “soldier like” in his walk, like on a mission he needed to complete. He was very muscular and strong in appearance. I remember immediately grabbing my arms and saying to myself, “Oh my God, I am not dreaming, this really did happen and this alien creature just inserted something into my back; or took something out. I had no further pain from that episode and could not bring myself to even tell my boyfriend about it for approximately 6 months thinking my family would think I was insane. One of the weirdest things about the situation was that both my dogs never even budged, nor did my boyfriend wake up during the incident. I was in total disbelief, yet not scared for some odd reason, maybe because he never showed his face, I don’t know. However, to this day, I don’t know if he possibly abducted me during the night and had just finished bringing me back to consciousness by inserting some sort of medication to awaken me or not. I “do know” for a fact that he had just finished using that large syringe on me because I watched his motions intently and he was walking away and at the same time placing that syringe to his hip “holster. The last thing I saw was him walking towards the front door, but right before he got to it he veered to the air-conditioning vent as if he had come from it, possibly from underground. I wonder. I then faded out for approximately 30 minutes and awoke with a very clear, vivid remembrance of this event. I never believed or even thought something like this could be true, but I now KNOW they are out there and in OUR homes at their own leisure! They are “quiet,” “meticulous,” “strong,” “unafraid,” and I think “curious” in nature. They seem to be in a “time zone” that only they are familiar with, and seem to have that mastered so well as to quietly appear as they “need or want to” then disappear without a trace. Things are still happening here in Gulf Breeze and now in my new residence as “glowing type” foot prints are appearing continually everywhere on my carpet during the night! I am not a storyteller and would LOVE to take a polygraph so badly. 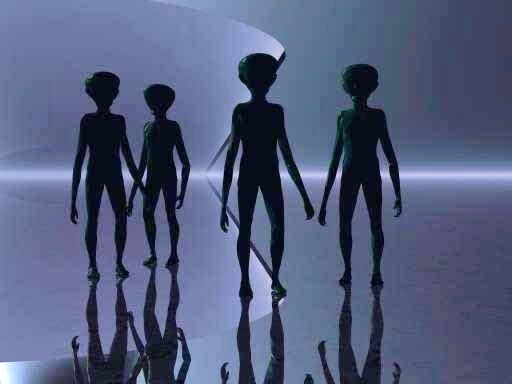 People believe me; I do not know if there has been some sort of government cover-up about this UFO issue, but why would we have full-grown aliens walking around right now in our homes of all places. They had to grow to get that big, so there has to be many, many more of them, right? OMG! I do not know why “I” am being targeted as an “experiment” to “him” or “them,” but it is not ending for me, I really am not scared because I have never lost faith in my God above, he has his hand on me, but I really, really need some help on this other issue. I am not a gossip or yapper, and would not be writing this if it were not true, but heed my words now: we ARE being watched and experimented on. I just don’t know why or what they want.Be safe and please believe this is no joke folks, I now know they DO exist. Thanks to UFO Casebook and MUFON CMS. 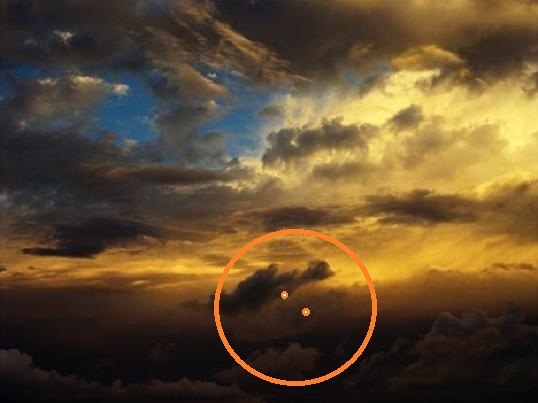 These orbs/UFOs align themselves in formations (in this instance a triangular one) and they move. This is not a happenstance of nature but requires some degree of intelligence in order to do so. Purposeful alignment and motion are not mere accidents, those acts require thought which is without question what this video proves. A video was shot late Saturday night on May 21, 2011 as I was showing a new friend of mine the orbs that hover above us up close with my night vision camera. After capturing a few minutes of tape I decided to point the camera at a triangular alignment which is always in the sky to the east of my house and let it roll thinking that I would come back in about 10 minutes and shut it off. Well, I started the tape and went inside and forgot that I had a camera rolling until several hours later when I went out and discovered that I had left the camera on and that it had used up the entire hour of tape that I had. I took the tape inside and reviewed it and couldn’t believe what I was seeing. These are my observations after viewing this tape: Orbs in a triangular alignment that appears stationary but in reality is moving very slowly. The orbs in the formation (and indeed all that I have captured on tape thus far) move at an incredible rate of speed. They actually spin in a circle creating a whirling effect. This can clearly be seen as you observe each of the three orbs in this night vision film. All of them have a whirling energy that encircles them and is in fact created by them. Many other smaller orbs can be seen almost as a clustering of objects near the triangular alignment. You can clearly see flashes of light, movement, traces of very fast flying objects etc. some of which could be created by these smaller orbs or they could be something else, namely rods. About 2/3 thru the tape a very strange thing appears. A very close flying rod appears for just seconds on camera. You can clearly see the details of the rods body as it flies past my lens. Rods for those of you who are unaware of them are creatures that exist on earth that no one has ever captured for examination hence we really don’t know what they are. They appear to be flying insects as they look like centipedes. They are often called flying fish. They are unable to be seen with the human eye as I understand it because they move too quickly for our eyes to perceive them flying at what some estimate to be speeds over 1,000 miles per hour. No rods have ever been caught or examined alive or dead and typically they are only viewable with camera equipment. They are often seen in association with alien craft and orbs. This video is an edited version of the 59 minute tape. We are also posting the entire 59 minutes on YouTube today along with a time elapsed version which boils the entire hour of footage down to approximately seven minutes and another that further time elapses the film to only seven seconds. 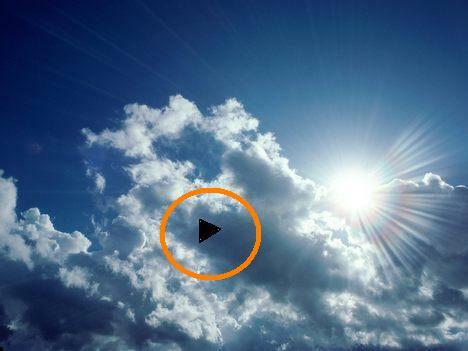 I hope you find this video to be as profound and fascinating as I do. It certainly resolves some open questions for me and it raises far more. Enjoy. 5 GLOWING ORBS WITNESSED OVER F.E. WARREN AIR FORCE BASE. I observed five round brightly colored objects moving SW to me quietly at great speed. On August 5, 2011, at about 18:10 to 18:15 MDT, I was facing east (nearly 90 degrees true). I just happened to be looking for the Moon which I observed south (nearly 180 true), when I observed two objects approximately 3 degrees east of the Moon and the same south.They were moving at about a course of (nearly 15 true). The first seemed to be moving ahead a little faster and opening the distance between them that I adjudged to be several degrees at first. They appeared to have some color in the setting sun. I watched them as they continued to separate a little and then slowly veer to the east to a heading between 15 true and maybe 45 true. As they now moved away from me they appeared closer together, that is less separation.Shortly another object appeared from the same location, so I went to get binoculars. With the binoculars I could not resolve anything but a ball-like object. That is no wings. The third object had bright red markings and some black. The fourth object appeared out of the same location and followed the same path except these seemed not to veer off to the east as much. The forth object was a brilliant green, and could only be resolved to be round. The fifth object seemed to be as the first three; bright red with some markings. Since I had only a 45 degree field of view, blocked by a tree, my estimates of speed and altitudes are just that, estimates. Speed I adjudge to be greater that Mach 1. I first thought greater than 500 nm. Altitude I adjudge to have been greater than 50,000 ft. There was no sonic boom. There was no sound of propulsion system. NOTE: The above image is a rendering. KEN’S NOTE: F.E Warren Air Force Base is part of the Space Command. There have been many UFO sightings and strange occurances in this area. The Air Force Security Forces guard a three state area because of the missle silos located in this large area. I have been to this Air Base many times and my son was stationed here for 6 years. Special thanks to UFO Casebook and UFOSNW. UNITED STATES IMPOSES A NO-FLY ZONE ON THE MOON…..WHAT ??? U.S IMPOSES NO-FLY ZONE ON THE MOON…..WHAT ??? 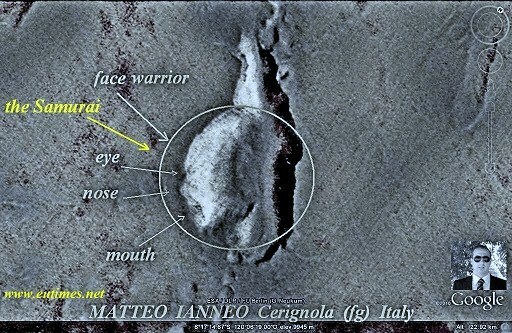 (note the astronaut tracks between the two artifacts). 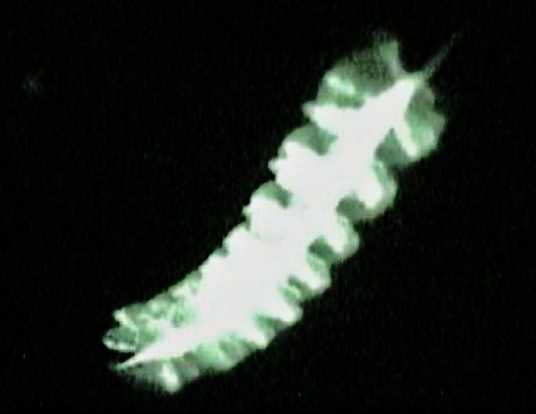 At the current altitude and lighting the descent stage is clearly visible with its angular shadow (right) and shadow cast by leg (near arrow tip). The LROC NAC image data has not been calibrated, the faint vertical stripes are a natural part of the image and will be removed later after the full suite of calibration data is collected during the commissioning phase. 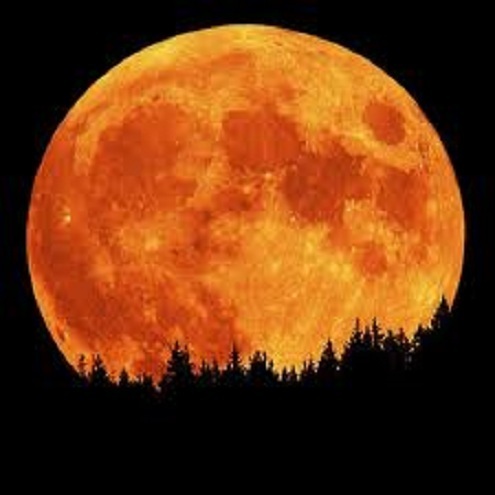 Source: esciencenews.com According to NASA: There are more than 36 historical sites on the moon. China and Europe both have space programs and are planned for manned missions to be moon. Is there some purpose, other then historical, why NASA doesn’t not want these sites investigated? An article appearing in The Hundu under the byline of R. PRASAD states: Though these restrictions may appear preposterous, there are clear scientific compulsions to collect and study them. For example, studying the discarded food will reveal the viability of bacteria on the moon and, if present, how they have mutated and survived after years of exposure to solar radiation. 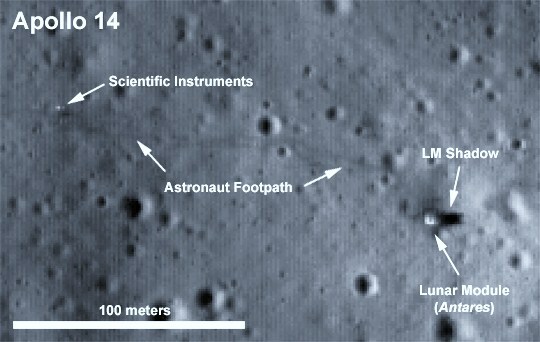 Ironically, the sharpest images of the Apollo 12, 14 and 17 moon landings sites were recently photographed by NASA’s Lunar Reconnaissance Orbiter (LRO). KEN’S NOTE: The U.S. is probably worried that they will find nothing. I feel we never went to the Moon in the late sixties. 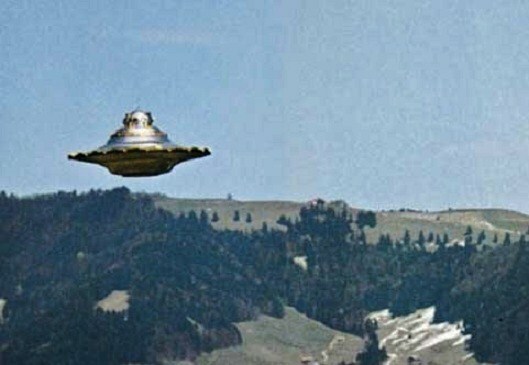 BILLY MEIER AND THE C.I.A. Whether you love or loathe Billy Meier his activities have been the subject of intensive monitoring by intelligence authorities including the CIA. Officialdom at a secret level take the man very seriously indeed. 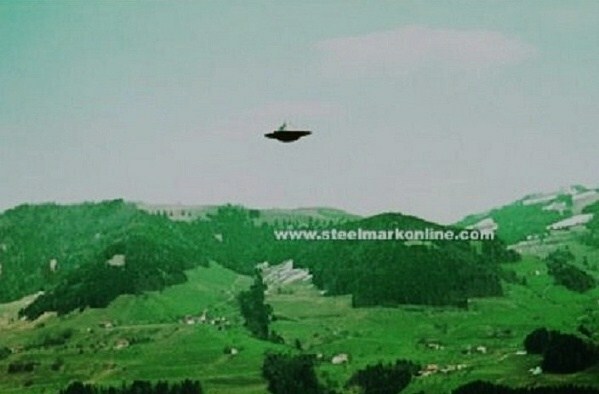 The extraordinary surveillance of the Swiss UFO contactee has been outlined in detail by the late American investigator, Wendelle Stevens, who spent eight years involved in an in-depth investigation of Meier and his followers at their farm near Hinterschmidruti. Stevens gives a detailed picture of the contact that he and fellow investigators Lee and Brit Elders were pressured into having with a range of intelligence agencies during their visits to Switzerland in the late 1970s and 1980s. These pre-briefings and debriefings, which took place mainly in London, could stretch for days and were dominated by discussions with a senior CIA officer who maintained a secure, sealed off section of a London hotel. 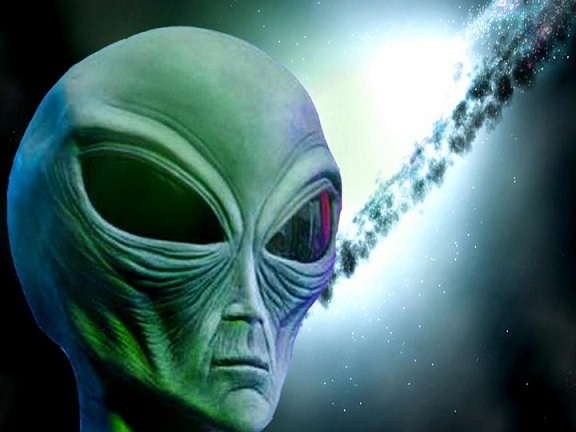 The interviews were sometimes marked by anomalous phenomena that Stevens could only ascribe to the intervention of Meier’s alleged Pleiadian visitors – in other words, while the CIA was monitoring Meier, the ET visitors appeared to be monitoring the CIA with technology that left no doubt about who was on top. The ET pranks included dematerializations of documents and shenanigans with a secure CIA telephone line. This cooperation by Stevens and the Elders with a range of interested government agents was frankly admitted by Stevens in anecdotes scattered through several of the six volumes of his investigation reports and contact notes of Meier. This huge output of investigative material totalling nearly 3,000 pages was published by Stevens between 1982 and 1996 and reflects the former US Air Force Lt Colonel’s conviction that the Meier contacts, though bizarre and eccentric by conventional standards, were authentic. 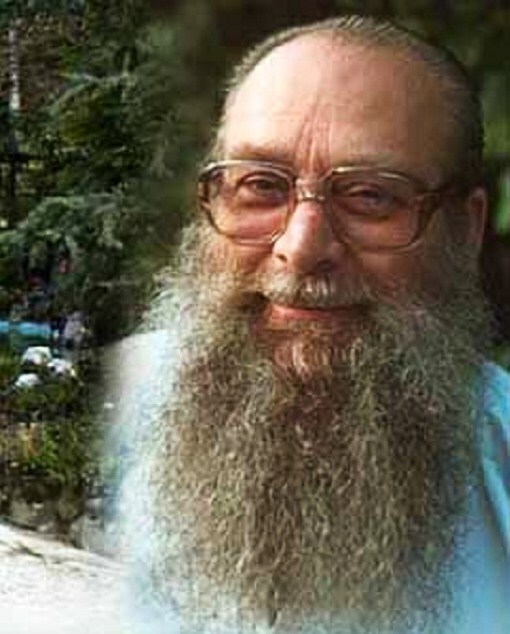 KENS NOTE: Billy Meier is an icon in the UFO community. His incredible story of aliens and other worlds are still being investigated by todays top Ufologist. GOOGLE ” Billy Meier ” and decide for yourself. Thanks to Ray Young and UFO Digest. Hello, My name is Tim and I reside in Benton, Ky. I took approximately 200 or so pictures of an object back on 8-6-11. This object stayed stationary for about 1.5 hours. photographs, it changed to virtually every color of our spectrum. We’ve witnessed it for over one month now in the western sky from where we live. I’m limited in my pursuits to enhance and clarify these pictures but, one can very easily tell that it’s not anything normally seen. I would very much like to show you these pictures. Granted they were taken with only a Canon SX 130 14 MP. I also had it zoomed to infinity but, the camera was solidly stable. I’m confident that if you were to see for yourself and maybe analyze them as well you would agree. I’m 52 years of age, stable and not searching for publicity. Furthermore I’m also not inviting you to a wild goose chase. You are the only ones that would understand as this subject matter is not widely received. ball of pulsating light appeared. I would say it was the size of a softball or maybe a little larger. My mind was trying to figure out what I was looking at. I stepped to my right a couple of steps and realized I could see behind this object and that it was just sitting in thr air pulsating. As I watched this object and my mind was scrambling trying to find an explanation, it expanded vertically and I found myself facing a alien with very large black eyes, a tiny nose, a slit for a mouth, very small flat ears and long fingers. I would say its height was less than 4ft. It appeared to be very light complected. It scared the hell out of me and I could feel some kind of energy hitting me in the lower forehead as if it was trying to communicate or observe me. I was aware it was moving closer and I ran ! I told my family I had seen a ghost. I did not know how else to explaine it. A short time later my mother and I were in the car driving when we drove up on a orange ball of light sitting in the air ,when we got close to it it just disappeared. We did not know what it was. About two years after my first encounter and in the same place I had a huge triangular shapped vehicle stop over my head. It was black in color and made no sound at all. It had 3 huge round lights, 1 on each corner with a panel of white lights across the rear. This ship was easily 400ft long. It sat above me for at least 10 minutes. I dont believe it could have been more than a couple hundred feet off the ground.when this craft started to move the large corner lights went to blue , green, and red. The rear lights flipped on in sequence left to right. It moved away in a very slow ne direction. No sound or air movment. I swear these events happened and I would not hesitate to take a lie detecter test. NOTE: The above image is a rendering. KENS NOTE: Many close encounter and abduction witness are usually visited many times over their life time. We are still trying to figure out what is really going on. In the last 10+ years I have had a number of UFO sightings, my most profound sighting was in Skegness, Lincs when myself, husband, children and dog were on holiday. We all decided (including the dog) we would go for a walk to look at the stars and UFO hunt as it was a clear, dark evening. As we walked around the edge of the site we came across this hill (man-made) that was covered in patchy grass and thought it would be a good place to view the sky. We climbed to the top and agreed we had a great view all around us, it was cold and blustery as we lay down beside each other to watch. After around twenty minutes I noticed to my left in the sky, 2 objects like pinpricks of dull, light (the next bit happened extremely fast, in a matter of seconds, no more than 10-15 seconds), I quickly pointed them out and no sooner than everyone had noticed them, they were directly above us. What was even more remarkable was the movement these 2 objects were making, they appeared to be side by side and looked like pebbles being skimmed in water, in sync. As they were above us the one furthest away did something that just blew me away, it wiggled in towards the other in a dancing fashion (close enough to look like it would hit) and then went back to its original formation. They then both skipped across the sky with us watching till they vanished, completely out of sight. We were all very excited, freezing cold at that point, we decided it would be a good time to leave. We chatted on our way back about what we had just witnessed and found our accounts to be somewhat different? Three of us saw round objects that had an outer, blue light but two of us saw a light orange colour ? 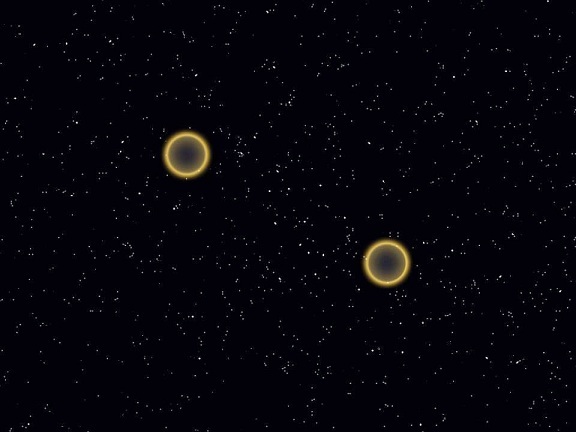 I remember, the objects were dull, dark in the centre with a light orange hue around the outer edge. The speed these objects were going, how far they travelled in a matter of seconds, was phenomenal, as well as the fluidity, movement that they were making. NOTE: The above image is a rendering by Brent Berry Arts. 6 PM..As we turned into Appelblaar street in Glenmarias we noticed two bright orange lights moving along a flight path from ORT ambo Airport. One disappeared from view the other flew right in front of an aircraft taking off. We gave chase driving along Dann Road but it was difficult to follow as we got held up at traffic lights and the object was obscured by the tree line. The craft disappeared as if it landed. We then drove back along Dann Rd to Woodbridge Square. From the FNB Bank we watched the second orange orb float silently overhead. We stood and looked right up into the craft. It was very exciting and was torn between taking my eye of the craft and setting up the video on my cell phone. As it flew over the building it dimmed a bit and then it lit up again. This was a true case of a unidentified flying object as neither of us had seen anything like it before or imagined a ‘flying saucer’ to look like this. It looked a bit like a big orange ball of gaseous jellyfish. NOTE: The above image is a rendering. mysterious visitors a few days later, one identified himself as being a civilian contractor from Offutt Airbase, the other was a woman saying she was from Berkley, Ca. and a new age chiropractor. One of our friends camping at a nearby campground said she had asked them questions earlier that week and told them she was a retired prison guard. All in all, this was a very weird vacation. NOTE: The above image is a rendering. 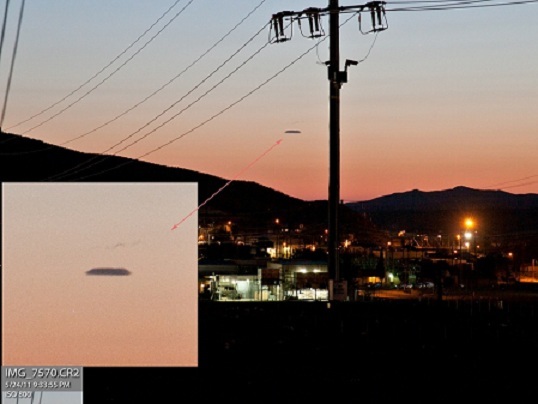 This article was submitted to World Ufo Photos by David Grindstaff. petrified. Every night before I go to bed I have to stare up in the sky. I am desperately looking for help and do not know where to look. I am branching out to you in hopes you may be able to point me in right way in helping me on this matter. I thank you very much for reading my email. 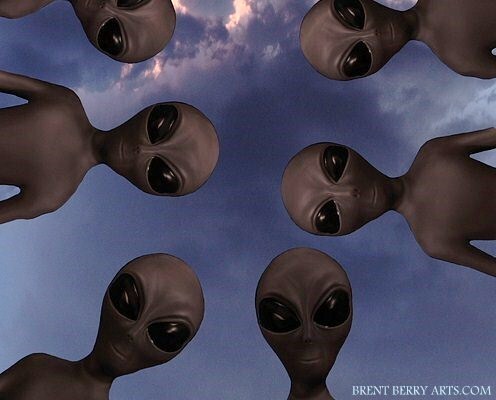 KENS NOTE: I have read that abductees can make their abduction harder for the aliens. Chaining oneself to the bed had positive effects. 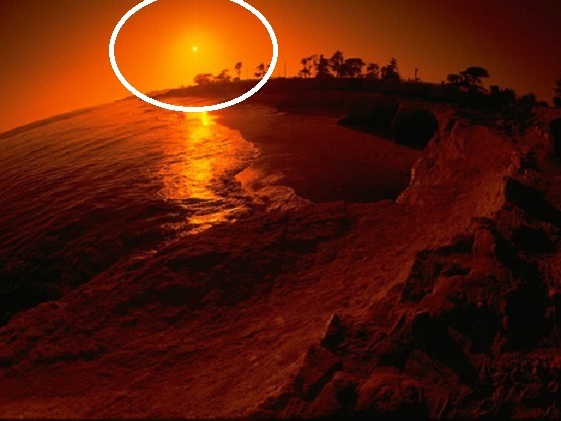 Last night my grandson was here with me and at 9.10 pm , a sphere came over at aproximately 1000 feet. It came from the South going North. It must of been 16 feet wide and traveling fast. It was a very light orange in color. I have seen the same UFO earlier this year when I was at the old house. I hit it with a green lazer and was quite astonished. As the green bean hit the sphere, it flaired outwards and I heard a crackling noise and was quite astonished. Hayden, my grandson was in the living room and I shouted to him to come outside quickly. He also saw the sphere. We followed it across the limited space we have in the garden. I feel it was doing at least 500 miles per hour. I had no time to capture it on camera. This is the second time I have seen this object. NOTE: This sighting has been submitted to World UFO Photos. The above image is a rendering. 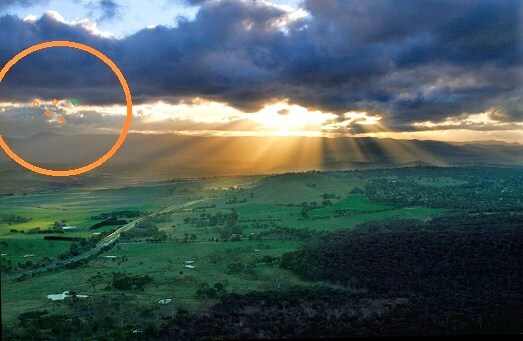 This is another sighting by Mike Bathurst of the Uniter Kingdom. Mike is a researcher and has discovered many strange features on Mars and the Moon. 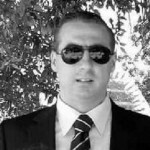 Mike has been a researcher for World UFO Photos. traveling in the desert on Rt 66. NOTE: The above photos are the real thing. I was southbound on 84th Street between Duffy and Bryant Rd in an unincorporated area in Slaughterville, Oklahoma. While driving I observed to the west one large white spotlight with a blue light circling it and two smaller white objects off to either side. Above the white light was a red light that pulsated. When this red light pulsated it lite up the top of the craft. I could see that it was a gun metal gray triangular shaped craft. 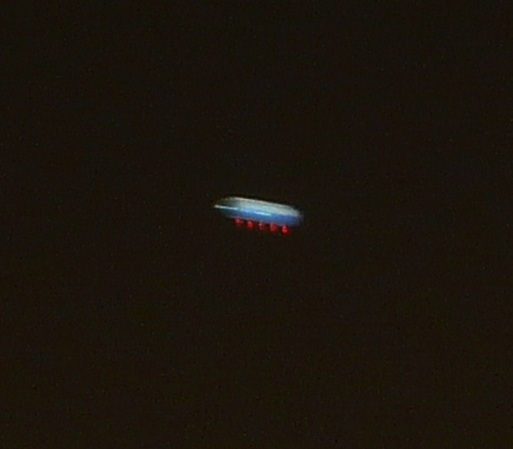 I could tell that the white light,the blue light and the red light above were located in the center of the craft. The two smaller white lights were at the corners of the craft. As I was traveling I observed this through the trees. I stopped a short distance down the road where there was an opening in the trees and there was a farm house in the distance. It appeared that the craft was hovering over the farm house. The object left in an unknown direction. NOTE: The above image is a rendering. 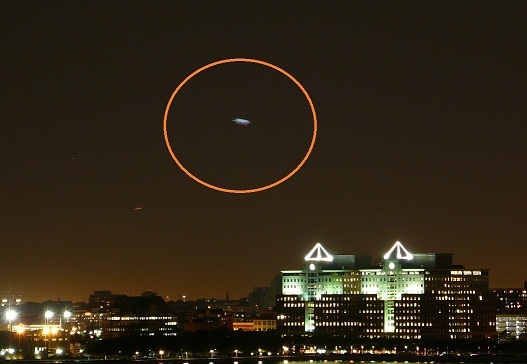 Last night in New York (Aug 30th) around 10pm I noticed from the apartment windows overlooking the Hudson looking out across to Jersey City from Lower Manhattan a hovering, stationary-seeming airborne object over Jersey City. It had a bright red light flashing regularly underneath. I enjoy aviation and frequently look out of the apartment windows to see what’s what. I knew this wasn’t a plane from first glance. I looked at it long and hard because it had an odd bulk to its shape. It seemed too big for a helicopter, and probably therefore was a Blimp. My feeling was that it was unidentifiable by the naked eye. It made me pretty inquisitive to know what it was. I watched it hardly moving, maybe progressing but very slow. Logic told me it HAD to be a helicopter, so i got on with other stuff. But when after 10 minutes I saw it was still there and had not changed position much, I decided to photograph it. These pictures were taken with an 8 second exposure. I zoomed one using iPhoto. The object is not something I recognise. It is probably some sort of balloon/blimp. But it would be interesting to know what type, and what it was doing. It continued slowly, progressing inland away from Jersey City for about an hour, the flashing red light very prominent and visible. My friends’ kids came in not long after I had photographed it and I pointed out the object to them. It must have been seen by thousands. I am sure there is a sensible explanation. KENS NOTE: This case was logged into the New York MUFON CMS system. This case should be a New Jersey case. MUFON CMS system has a question on the form that is very confusing to witnesses. MUFON ask for the nearest city on the form. This is why many witnesses do not add the correct city the UFO was witnessed in. The witness adds the nearest city instead. 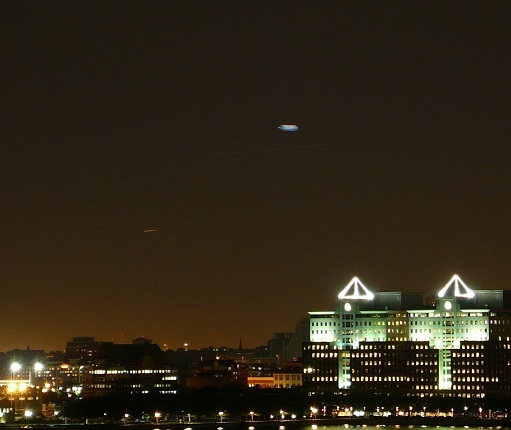 Many MUFON cases are basically logging the wrong city for a UFO sighting. I have discovered this error and have passed this information to MUFON and again it goes on deaf ears. WTF…….